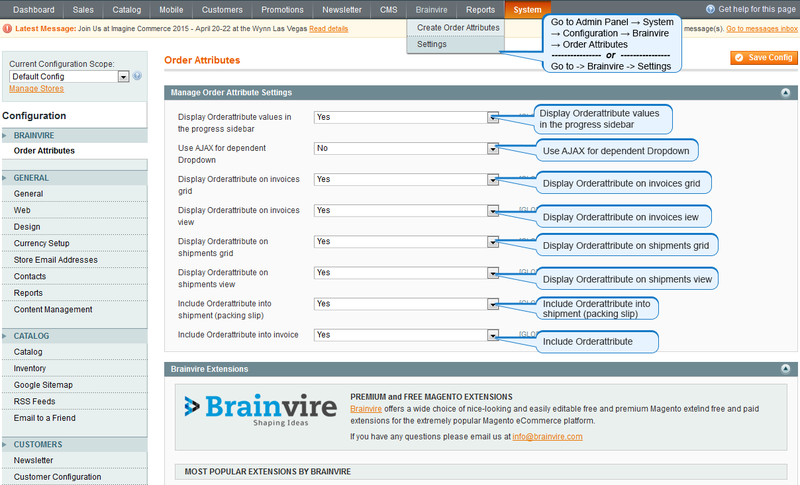 Magento Order Attributes Extension lets you add the extra fields to the check out page so as to deliver the product on the right time at the right place to the right person. Gone are those days when you had to send an email or give a call to the customers who have ordered a product just to collect the basic information lacking for the delivery. 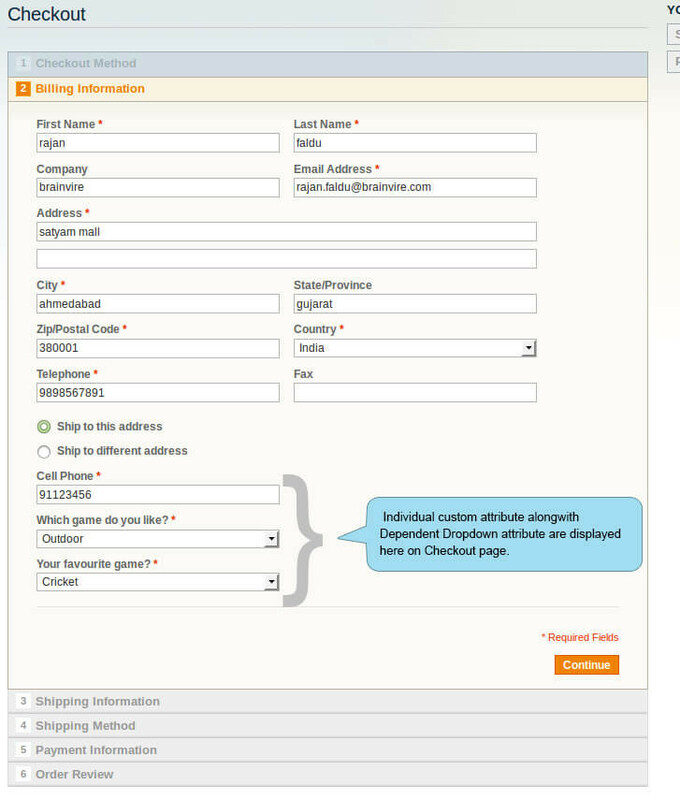 Instead of wasting your time to contact them, you can add up extra fields to take the information on the checkout page itself with the help of the Order Attributes Extension for Magento. 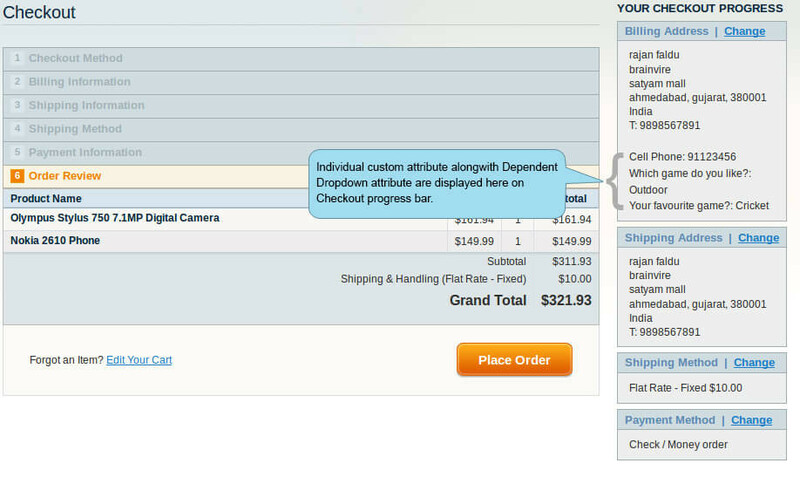 Order Attributes Extension lets you add up any type of field (text field, text area, date, yes/no, dropdown menu, check box) at any step (billing information, shipping information, payment method, shipping method) of the checkout process to make sure you have got all the information necessary for the correct delivery; after all customer satisfaction solely depends upon the perfect delivery! 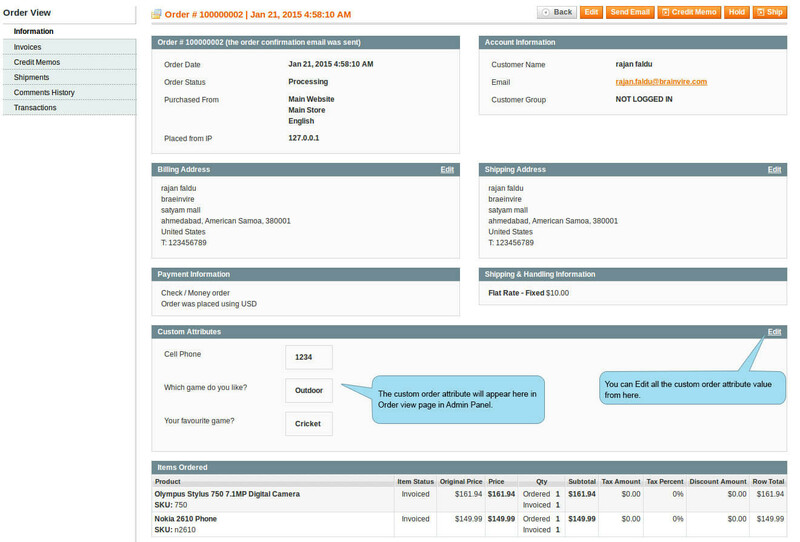 Get the additional information about the customers to make the order processing faster. 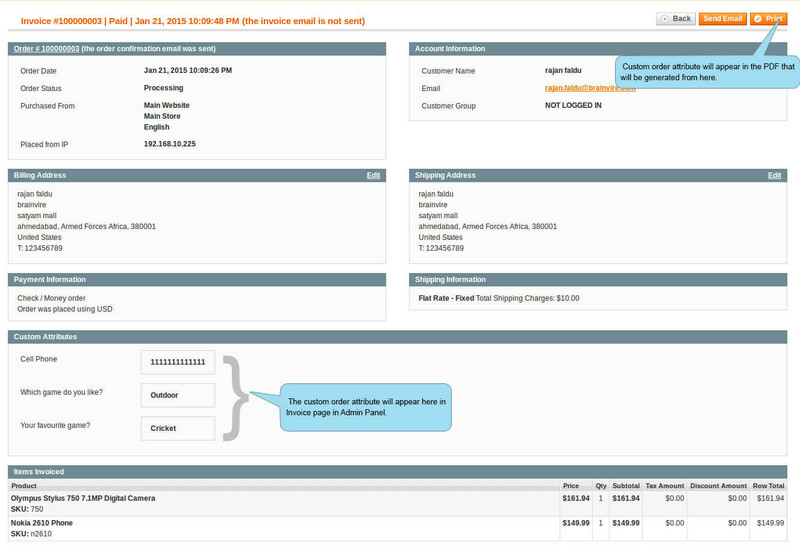 Add any type of order attribute in nay step of the check out process. 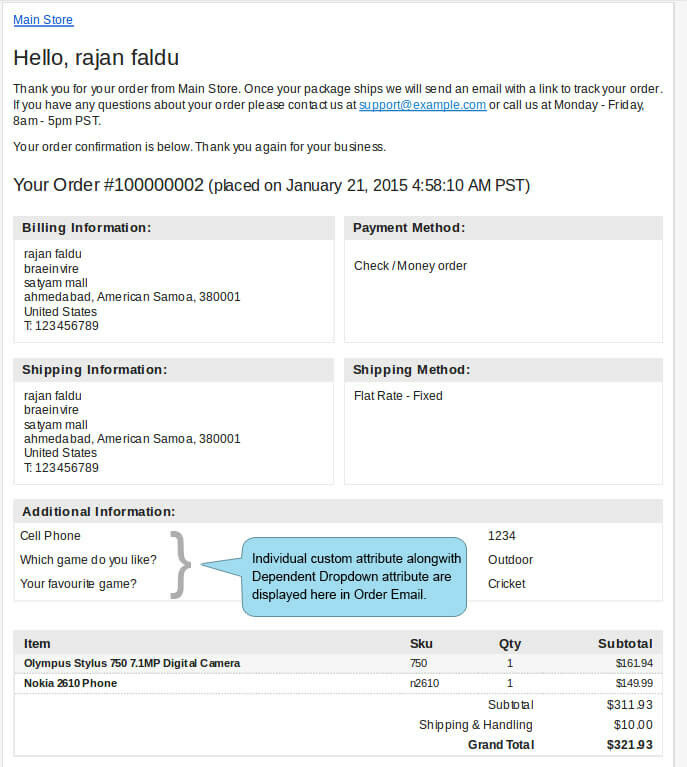 Integration with single page checkout process. Make the attributes mandatory to fill in. Set up the default values for the attributes. Validate the inputs: alphabets, numbers, alphanumeric, URL, email. 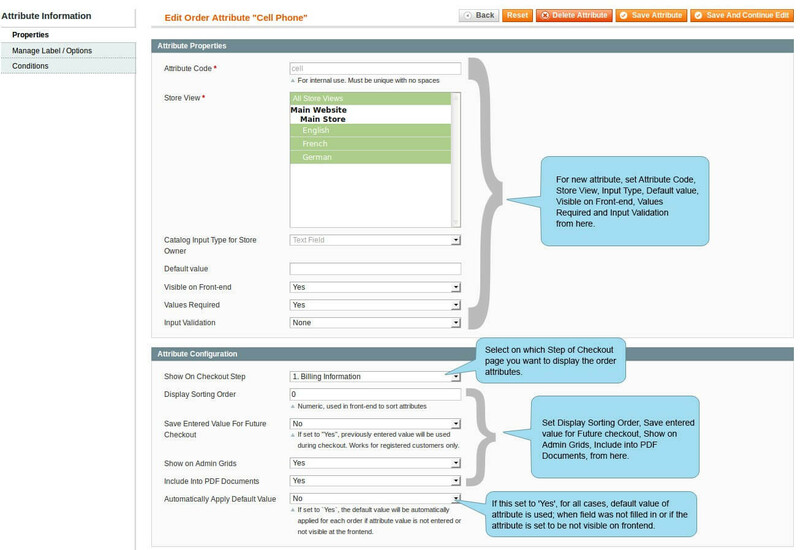 Meets up Magento code guidelines and architecture.